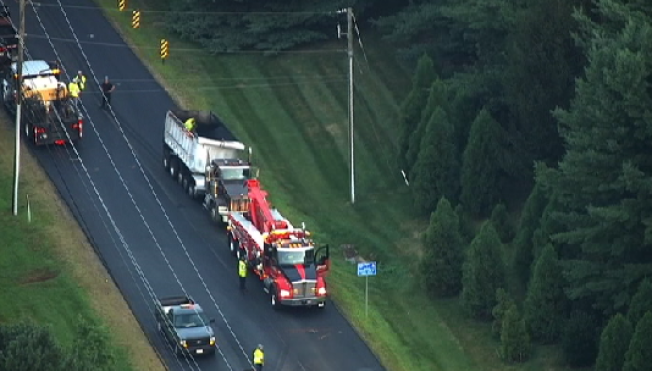 A busy Fairfax County road will be closed for several hours Tuesday after a dump truck carrying asphalt overturned. The crash happened just after 5:30 a.m. Tuesday along Georgetown Pike in Great Falls, Virginia. Georgetown Pike is closed in both directions between Utterback Store Road and Springvale Road, police say. It's not clear what caused the truck to overturn. Police say it will take three hours to clean up the scene.